Clayburn Moore has been working professionally as a sculptor since 1985. He received his B.F.A. from the University of Texas at Austin and continued his classical education at the Academy of Fine Arts in Florence, Italy where he focused on developing a style that is both anatomically precise and visually creative. Moore is well known for his ability to present the human figure in a way that brings life and realism to the sculpture. 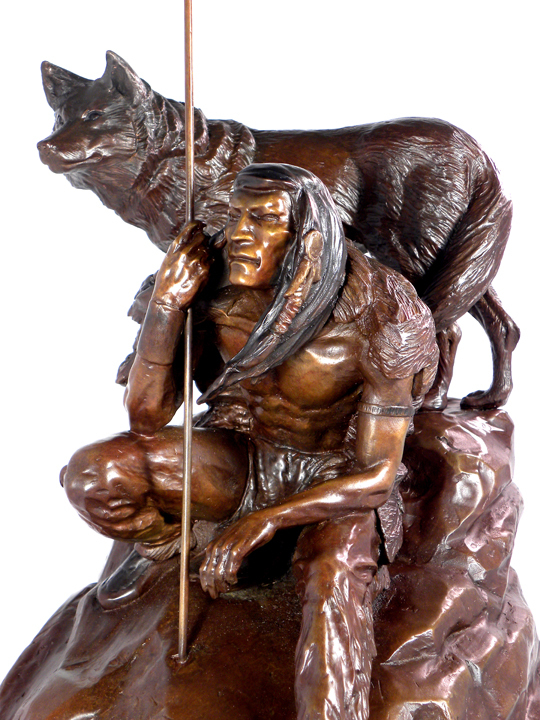 His beautifully executed bronzes are well known and appreciated in the science fiction and fantasy field, as well as in collections throughout the world. Moore is the winner of multiple awards including several prestigious science fiction/fantasy Chesley Awards. His work has appeared in numerous Spectrum publications; most recently the Kabuki Bronze Statue in Spectrum 14. Copyright 2010 The CS Moore Studio Ltd. All rights reserved.